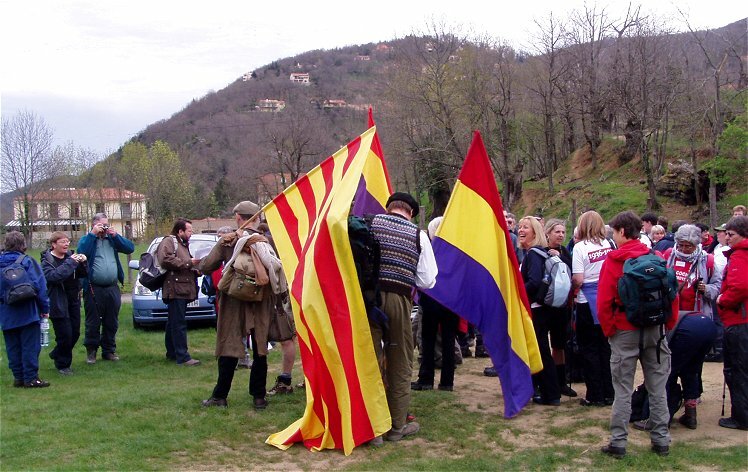 Watch these highlights of the 2012 Pyrenees commemorative walk, as a small group of people retrace the path of the thousands of volunteers who crossed the Pyrenees into Spain to fight the Nationalist forces led by Franco in the Spanish Civil War. On this long journey a memorial is held for the most recent members of the International Brigaders who died and many members of the group give a reading. If you are interested in this topic, see Spectacle’s interview with the International Brigader, Bosco Jones, focusing discussion on history of the Spanish Civil War. The events in Belfast over the last month bear strong parallels with events in Rostock, Germany, in 1992. In Rostock in August 1992 police withdrew while the homes of Vietnamese guest workers were petrol bombed and held under siege by neo-Nazis. In the last month over 100 Roma migrants have been driven from their homes by a series of racist attacks and intimidation. In the last few days the The Observer has reported that several explosives have been discovered that were intended to be used in further racist attacks. The film The Truth Lies in Rostock (Spectacle 1993) gives an inside account of the events that took place in Germany interviewing anti-fascists, locals, police and neo-Nazis to find out how the siege was allowed to happen. This is vital viewing for all anti-fascists trying to understand events in Northern Ireland. To order a copy of the The Truth Lies in Rostock and watch the trailer visit our Catalogue page.